Level 1: An Assistant Coach has a fundamental understanding of all events and works under the supervision of a higher level coach. Level 3, 4 and 5 : Performance and Development Coaches are increasingly specialized and experienced. Since 2010, the equivalent awards are Coaching Assistant (Between Level 1 and 2) who works under supervision of a Athletics Coach. There are two additional qualifications : Athletics Leader (for coaching Junior groups under supervision of a Club Coach ) and Leadership in Running Fitness ( for leading groups of adults and children age 12+ unsupervised). All coaches are volunteers and are not paid for their services to members. Our interest started through our own children, and we progressed to officiating at competitions and on to Team Management. Through this, our concerns on filling the athletic events, at competitions, across all disciplines, highlighted the need to encourage young athletes to experience all the events, in a fun and safe environment. For this reason we started coaching. We have been coaching the beginners and younger children for 20 years and we encourage children of all abilities to take part in all the disciplines that are appropriate to their age and ability. We regularly supply the children with information on the competitions, that are available for their age group, and encourage them to participate. Steve has been coaching for 15 years and is always pleased to see young athletes willing to learn to be sprinters. He specializes in 100m and 200m. Having been a sprinter and cross country runner in his youth he now likes to pass on his knowledge and experience to younger athletes. He has coached several School and County champions and also currently coaches a GB Disability athlete. Whist I enjoyed success at school with sprint events I didn’t start my coaching journey until my daughter commenced at Wirral AC in 2007 aged 8 years. When she progressed to the older group under the guidance of Steve Brick, in 2012 I passed my Coaching Assistant certificate. In 2013 I also attended a sports psychologist and a first aid course. I successfully completed my level 2 coaching certificate in 2015. I currently support the 8-11 year old group on Monday and Wednesday but also have my own sprint group 7-8pm on Mon, Weds & Thursday. I am a firm believer that the athletes develop through a strong team ethos. They learn discipline, respect and commitment and develop a positive attitude to training. I teach them so they realise that if they put the hard work in – they will achieve their goals. I began helping with coaching in 2015 when my daughter joined the club. I now work closely with Ron Price in our Sprint Development Group with athletes ages from 10-15 years who compete at distances from 60-800m. We train on Monday, Wednesday and Thursday 6.45-8pm and my work includes a small amount of endurance running, strength and conditioning, agility, skills and drills, sprint repetitions and flexibility work. I also coach sprint hurdles Monday and Thursday 6.00-6.45 and long jump Wednesday 6.00-6.45 and am keen to encourage young athletes to try several events rather than to specialise too soon. I share Ron’s philosophy that hard work and a good team ethos will reap rewards enabling athletes to achieve their goals and enjoy both training and competing. Don Darroch (Contactable at the Track) level 2 Athletic Coach. Coaches runs, jumps and throws for foundation level athletes on a Mon or Weds 7 – 8.15. Coaches Pole Vault for beginners and advanced vaulters on either a Tuesday, Thursday or Friday nights 7 – 9 at Deeside Indoor Hall/College. I have competed on and off as an athlete in a few different clubs over the years mainly doing pole vault and multi-events. Got back into athletics whilst watching my kids enjoying it and decided to give back into the sport what my coach used to do (Dave McComb Senior). Middle Distance, Cross Country and Road. Norman Waterson (327 2571 / Level 4) specialises in middle distance (800m and 1500m) and is particularly experienced at coaching female athletes.. I started coaching while still competing for the club at cross country and middle distance as we had very few coaches at the time, George Warburton was my coach and a former secretary and president of the club. I have now been coaching over 40 years and am currently a level 4 performance coach having attended the summer schools courses at both Loughborough and Lilleshall where I attained my coaching awards. I have coached athletes in different events from club to lnternational level with some success, most notably of these Janet Ravenscroft AAA u17 400m 55.8champion and GB international and silver medallist 4×400 European Junior Championship in a British u18 record 2-36.98. Julie Forrester Schools and junior 800m international, Sophie Cocker 300m English School champion and captain of the International schools team. Aileen Kearney 300m Northern indoor champion. I am currently coaching a good group of athletes. I am the lead coach of the Young Endurance Squad. I am an Endurance Athlete myself, and compete regularly for the club in track, cross country and road racing. 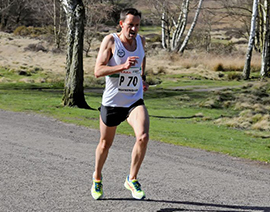 I regularly run at county level and have enjoyed success as a Master’s athlete, and have been selected several times to represent Wales in cross country and road running. I have 10 years’ experience in supporting young endurance athletes. Although I had always kept myself fit I got into athletics later in life when my own children started to get involved. It was the enthusiasm passion and dedication of their first coach Graham Patterson that attracted me to the sport. I was a coaching assistant for 6 years before qualifying as a coach. Simon Fox (Level 2 ) advises Senior endurance runners. I have been a member of Wirral AC for about 10 years and a coach for about 5. I coach ‘hands on’, taking part in all sessions as part of my own training. I compete in road and cross country running in winter, and fell running and triathlons in summer. My sessions are suitable for all distances from 5k to marathon and are geared towards key club distance running events such as the cross country championships and road relays. I will happily help or coach any male or female seniors who have a genuine ambition to improve their times and compete for the club. Unfortunately, the group is not really suitable for ‘beginners’, but anyone capable of running 10k in about 45 mins or less would benefit greatly from the sessions. We train Mondays from the gatehouse at 6.30pm with a road run (winter) or trail run (summer), and Wednesdays 6.30pm we do intervals on the track. Sessions last about an hour to 75 minutes in total. Pam Green (342 4933 / Level 2 ) Pam has taught and coached athletics for over 40 years, twenty of those at Wirral AC. In this time she has coached numerous athletes to English Schools finals in the long jump, high jump and triple jump. When athletes reach the required standard, they are introduced to George Owens, the North West jumps coach, for further support and advice. Pam has also coached cross country for 20 years for both boys and girls to a very high standard. Together with Joe Green (below), she provides a strong link between Wirral AC and local secondary schools. With their strong belief in strength and endurance they also lead hill training sessions for middle distance athletes during the Winter. Joe Green I have taught and coached athletics for over 40 years. As a PE specialist I have considerable experience in most events, and have coached athletes to County standard or higher in all disciplines. Some of my former athletes have been English Schools internationals. My focus for many years has been on throwing events and the pole vault. I also introduce beginners to hurdling before they move into Paul Stubbs specialist squad.